If you have homophobic grandparents, should you bother coming out to them as pansexual? 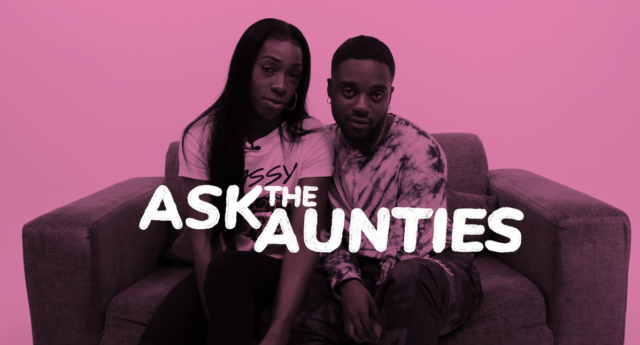 In this episode of Ask the Aunties, a 24-year-old woman who identifies as pansexual—recently picked by Merriam Webster as word of the year—has written in to ask if she should come out to her family. Lee Gray and Karnage Kills are PinkNews’ queer agony aunts. Should I come out as pansexual? “I’m a 24-year-old pansexual woman. My friends and fiancé totally accept it. “However, I pretend to be straight when I’m with my grandparents. Ever since my dad died they’ve been there for me and never turned me away when I needed help. Agony auntie Karnage said: “I personally feel like they need to be educated. A lot of older people do not get, you know, gay or queer issues—they don’t understand it. Lee said: “I grew up around Caribbean culture, so my grandparents were brought up being told that being gay was closer to satan than it was to anything else. Watch the video above to see all of the Aunties’ stories and advice. The previous episode answered a dilemma from a young person wondering if you can ever be too young to realise you are LGBT.